I have to admit my impression of romance in Spokane was a bit out of date, based as it was on the 1985 movie Vision Quest in which Madonna debuted the song Crazy for You. Spokane, like the young man in that coming-of-age film, has grown up a lot. This is one beautiful city, surrounded by the natural beauty of Washington State but preserving a stately downtown area with nary a big-box store in sight. If you’re on your own vision quest to find the scenes where the movie was shot, however, you won’t be disappointed. Landmarks like the Onion Bar & Grill and the Monroe Street bridge are still in excellent form. 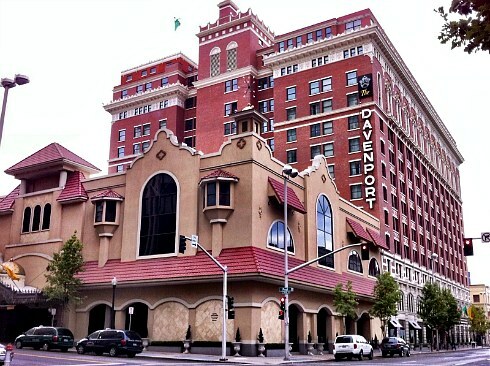 The once-grand Ridpath Hotel, however, is boarded up and vacant. In fact on my recent trip the beautifully-ornamented downtown towers were marred only by too many empty spaces and for-lease signs, a scene all too common in many cities across the U.S. these days. The good news is the streets surrounding the Spokane River and the 100-acre Riverfront Park are vibrant. A high-end mall called River Park Square is surrounded by shops, restaurants, bars and hotels. 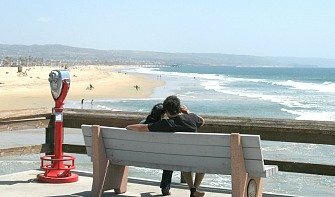 The downtown is eminently walkable, with enclosed and elevated walkways linking the major buildings and making exploring the city comfortable in all weather. Ride a 100-year-old Carousel. Back in 1909, a craftsman from Germany created a carousel ride as a wedding gift for his daughter. How romantic is that? Today the carousel is lovingly restored and in operation in Riverfront Park in Spokane. If you don’t know what it means to “grab the brass ring,” you’ll find out when you hop aboard one of the elaborately carved horses on the Looff Carousel. See Magnificent & Romantic Spokane Falls. Spokane was once a gathering place for native Americans because of the beauty and power of a series of waterfalls on the Spokane River. Now the city offers an exciting way to view the cascade - from a cable car suspended at dizzying heights. If you prefer a more grounded type of sightseeing, a stroll along the trails and footbridges of Riverfront Park will also give you great views of both the upper and lower falls. Skate at the Ice Palace. Okay, it looks more like a hockey rink than Rockefeller Plaza. But for your romantic Spokane winter getaway, it’s fun to hold hands and skate around on an outdoor ice surface (there's plenty of cozy spots to enjoy a hot chocolate and snack, too). Skate rentals are available, and the rink is tucked under a roof adjacent to the Imax theater in Riverfront Park. 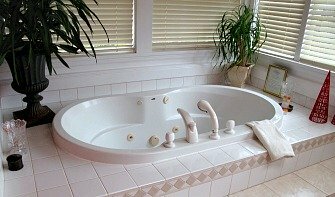 See More Hotel Hot Tub Suites in Spokane & Washington State Here. 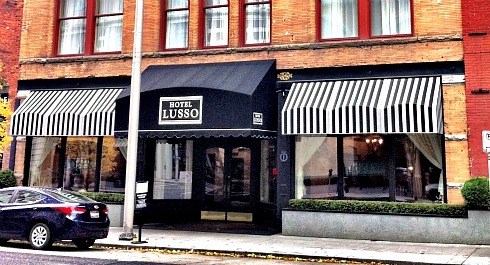 Charm with an Italian Flair - Hotel Lusso, a Romantic Boutique Hotel in Spokane, WA. 1. A weekend in Spokane gets even more heavenly when topped off with a romantic cruise on nearby Lake Coeur d’Alene. 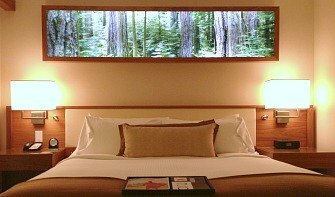 Head west to the state line and cross into the Idaho Panhandle. Less than a half hour away from Spokane is the small city of Coeur d’Alene, which sits beside a lovely lake of the same name. Scenic cruises and dinner cruises depart year-round from the docks near the gorgeous Coeur d’Alene Resort. 2. The Spokane Visitors Bureau says there are now 20 wineries in and around the city. One of the longest-established is Arbor Crest Wine Cellars, which was named one of “50 great producers every wine lover should know” by Wine Spectator magazine. 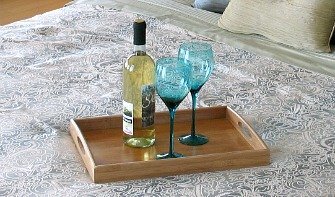 Besides operating a downtown tasting room, the winery invites visitors to its headquarters at Cliff House, 4705 North Fruit Hill Road. 3. Northeast of Spokane is a 12-square-mile fertile bluff where dozens of small farms nestle in rolling hills. A group of 30 farmers and other vendors have organized into a marketing group called Green Bluff Growers, aimed at promoting agricultural tourism. They welcome visitors year-round for various events as well as sales of just-picked fruits and vegetables. Turn off Highway 2 at Day Mount Spokane Road. 1. The Victorian-style Roberts Mansion and the Tudor-influenced Glover Mansion. Both have sweeping staircases for indoor weddings and beautiful gardens for an outdoor affair. 2. Spokane’s parks board allows weddings at several sites, including a floating stage on the Spokane River in Riverfront Park. 3. The Spokane Convention Center has a roof deck patio that also provides for a beautiful riverside ceremony. For more info on Spokane, see visitspokane.com.